Our goal is to connect people with the best local experts. We scored electricians on more than 25 variables across five categories, and analysed the results to give you a hand-picked list of the best electricians in Toms River, NJ. Atomic Electric Company Inc is a comprehensive electrical service company providing top-quality residential, commercial, and industrial service in New Jersey. They are fully licensed and insured with expert electricians servicing each project with integrity and professionalism. From remodeling to new construction, clients may depend on Atomic Electric Company for their responsive and reliable services. Their services offered include commercial tenant fit-out, preventative maintenance and repairs, custom lighting, dock and marine wiring, service upgrades, equipment connections, residential remodeling, and code violations corrected. Atomic Electric Company provides free estimates for the convenience of their clients. For a look at recent projects and to request a free estimate clients may visit the website. CME Electrical Contractors is a comprehensive electrical company serving the city of Toms River, New Jersey, and the surrounding Ocean City areas. CME Electrical Contractors specializes in offering quality electrical solutions to residential and commercial customers. This company provides a wide variety of interior and exterior services including service panel upgrades, ceiling fans, surge protectors, kitchen and bathroom lighting, smoke and carbon monoxide detectors, recessed lighting, and lighting controls. CME Electrical Contractors also services landscape lighting design, motion and security lighting, in addition to hot tub wiring and lighting. Clients recommend CME Electrical Contractors for their safe and reliable electric services. Curry Electrical Contracting is a professional electrical contractor located in Toms River, New Jersey that serves clients in the wider local metropolitan area. The company has been in the industry for more than fifteen years and accepts both residential and commercial projects. 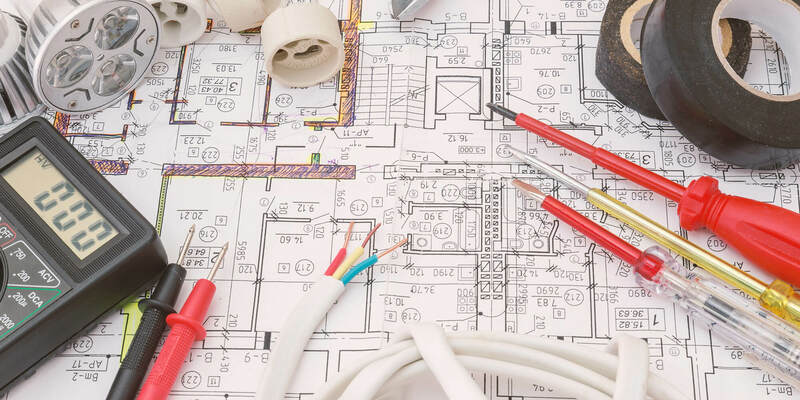 Services offered by Curry Electrical Contracting include new home wiring, rewiring work, generator installations, electrical repairs, panel upgrades, installation of recessed lighting systems, and more. Additionally, the company is fully insured for clients' protection and offers prospective customers a free estimate on its services. Previous clients praise the company for the high quality of its work as well as its reasonable prices. Donnelly Family Electric, LLC is an electrical contracting company in Toms River, New Jersey, serving the Toms River and New Jersey Shore areas. They have been in the electrical contracting business for more than 30 years, performing residential and commercial electrical services. They serve a wide variety of businesses such as hotels, corporate offices, apartment complexes, new construction jobs, recreation centers, restaurants, and more. Their electrical services include outlets and switches, panels, installation, inspection, and maintenance. They also offer emergency services. Donnelly Family Electric, LLC gets the job done right with no mess and no stress. They provide free electric repair estimates. Serving all of New Jersey, Kingdom Electric offers high-quality same-day services as well as emergency services 24 hours a day, seven days a week. Free estimates are available over the phone, and their team of versatile professionals is prepared to work in residential, commercial, or industrial settings alike. Some of their most popular services for New Jersey homeowners include electrical panel upgrades, custom lighting and designs, and general electrical repair and troubleshooting. Previous customers shower Kingdom Electric with praise, noting their punctuality, friendliness, working speed, overall quality, and sharp attention to detail. Special offers are also available through their website. Petersen Electric is an electrical service provider based in New Jersey. For more than 24 years, they have been providing reliable and professional electrical services to their clients in Ocean and Monmouth. Whether it is residential or commercial electrical needs, they have a team of licensed and experienced electricians who are committed to ensuring that they give solutions that meet the requirements of their clients. Electrical services that they offer include installation, inspection, outlets and switches, electric repair, electrical panels, and lighting. A business that is committed to providing efficient electrical services to their customers, they can take on any job whether it is small or a big electrical project. Clients can also call them for free estimates. Semper Fi Electric, located in Brick, New Jersey, is an electrical repair and installation company with decades of experience specializing in personalized service for residential customers. Owner Tom Allen is both a technician and electrical instructor and is a graduate of the OCVTS 2-year Electrical Trades Program, and completed the United States Marine Corp's "Marine Electrician" course as well as a 4-year Federal Electrical Apprenticeship Program. They offer a wide variety of options including addition and renovation wiring, attic fans, baseboard heaters, dimmers, energy efficient lighting, panel changes, service upgrades, phone jacks, new outlets, and more. The company is fully licensed and insured, estimates are frees, and they serve North Ocean County and Southern Monmouth County.